Ebon was part of a rescue from a hoarder - a total of 8 cats came into the shelter at that time 3 years ago. Ebon is the last left of his family, as all the others found homes. He's a lounger and enjoys his comfort. 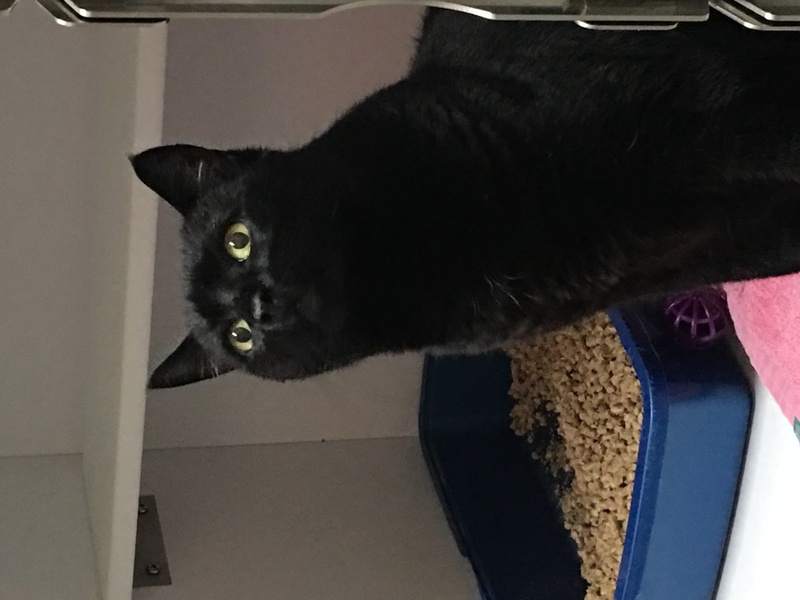 Ebon is a little shy, and just needs someone to give him time to adjust as he has been with us for awhile. Unfortunately Ebon was recently diagnosed with heart disease. He enjoys his time in our bay windows sunning himself and relaxing, however we would love a permanent home for him. Ebon is the last of the cats from this hoarding rescue. He needs a quiet environment and his adopter must be someone very, very special to even consider letting Ebon leave our shelter family.